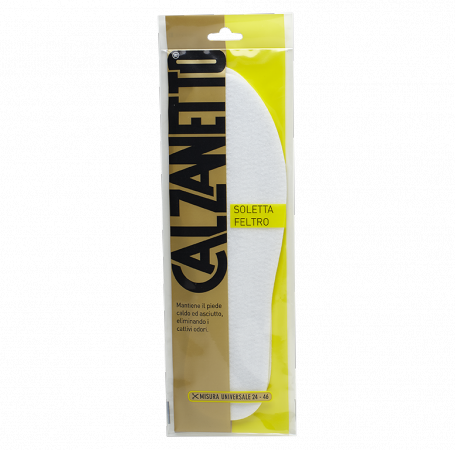 Ideal insole for keeping the foot warm and dry and eliminating bad smells. Universal size from 24 to 46. Cut out the insoles to the desired size by following the printed broken line. Place them inside the shoe in such a way that the unprinted side is in contact with the foot. The felt keeps the sole of the foot warm and dry and eliminates unpleasant smells.